The clock winked 12 and we all screamed. Something about the house was creepy. I couldn’t put my finger on it but something was going on and I was determined to find it. There were 4 of us there, me, my best friend Beth, Mark my neighbor and his little brother Keith. All of us had been out for dinner and we decided to do something crazy. There was this house that everybody had talked about and how it had been abandoned by its previous owners. It was said that there was an old spirit who had lived in that house and it didn’t let anybody stay there for long, whoever tried staying there ran away within a month. So today, we all intended to find out the truth and end the terror that haunted us all. “I am too scared, I’m going home”, said Beth. “Just wait, we’ll be out of here in no time” I said to her. Suddenly the lights started flickering, and we heard someone howling. We all looked for something which would explain these supernatural happenings but no luck. There had to be a logical explanation to all of this. We decided to search each and every corner of the house to look for clues. All of a sudden, Mark stepped on something and a hidden door opened, we went inside and saw a small dingy room with barely any light but enough for one person to operate from. We searched the room and found that the original owners of this house had died; the only survivor was their son, in a fire caused by a cylinder leak. Their son did not want to sell the place, so he created this ruckus to kick out anyone who wanted to buy the property. He would make lights flicker, make things disappear, create ghost sounds and do anything and everything to scare the house owners. All of us breathed a sigh of relief, no real ghosts in the house after all, it was just a sham. We were proud of ourselves for solving the great mystery that haunted our little town. 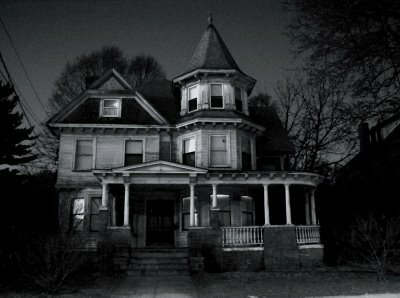 Now the creepy house would not haunt us, instead we would be the only ones to know the secret behind it. This is a message to the webmaster. Your website:http://jainpragati.wordpress.com/2013/07/09/another-short-story/ is missing out on at least 300 visitors per day. I came to this page via Google but it was hard to find as you were not on the front page of search results. I have found a website which offers to dramatically increase your traffic to your site: http://aerotraffic.com/web-traffic/. I managed to get over 10,000 visitors per month using their services, you could also get lot more targeted visitors than you have now. Hope this helps 🙂 Take care.